﻿ Eurostar International Hotel, Pattaya | FROM $17 - SAVE ON AGODA! "Simple hotel with Wonderful location , nice pool, great wifi..."
Have a question for Eurostar International Hotel? "you pay for what you get and at 500 baht per night its hard to beat Jomtien is perfect for family nice and quiet and beside the sea." "Great location, nice small outdoor swimming pool, nice room, great price." 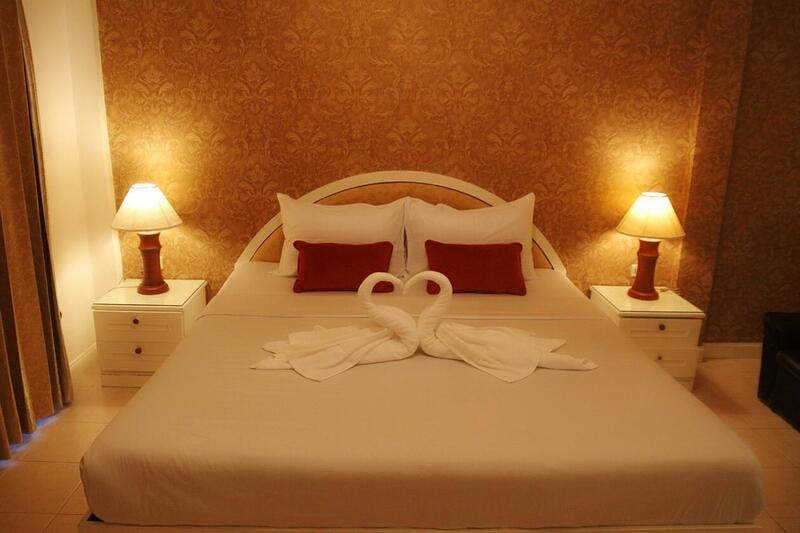 "Good hotel with clean rooms n bathrooms, excellent location." "Reception friendly, easy going and helpful (Indian man)." Conveniently located in Pattaya, Eurostar International Hotel is a great base from which to explore this vibrant city. Only 2.0 km from the city center, the hotel's strategic location ensures that guests can quickly and easily reach many local points of interest. For those of you who want to venture out, Smile Massage, Immigration Office, Chanya Medical Clinic Jomtien are just some of the attractions available to visitors. 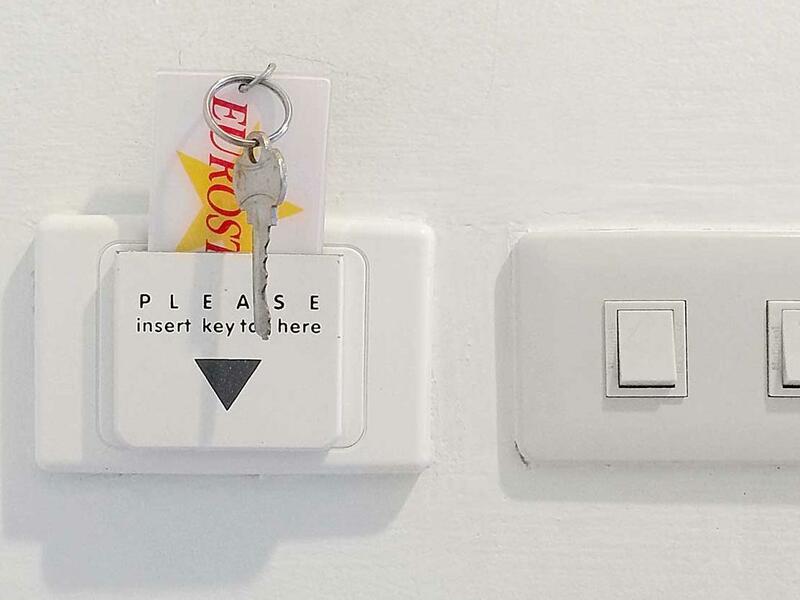 Offering hotel guests superior services and a broad range of amenities, Eurostar International Hotel is committed to ensuring that your stay is as comfortable as possible. The hotel provides free Wi-Fi in all rooms, 24-hour front desk, express check-in/check-out, luggage storage, Wi-Fi in public areas to ensure our guests the greatest comfort. Step into one of 32 inviting rooms and escape the stresses of the day with a wide range of amenities such as internet access – wireless, internet access – wireless (complimentary), air conditioning, wake-up service, desk which can be found in some rooms. The hotel offers many unique recreational opportunities such as outdoor pool, massage, billiards. Superb facilities and an excellent location make the Eurostar International Hotel the perfect base from which to enjoy your stay in Pattaya. 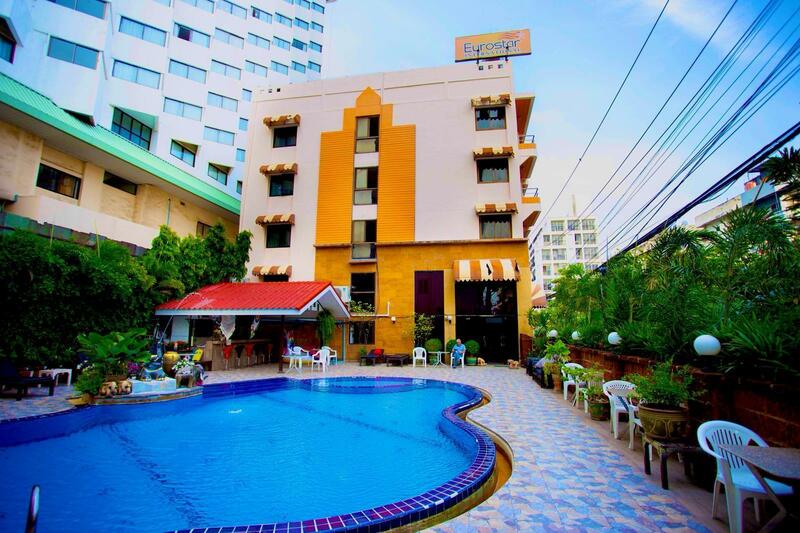 "All the staff were very nice and friendly"
The hotel is located in a good quiet location in Jomtien. The bed and aircon were good but the hotel it self is in desperate need of a make over. Everything looks old and worn out. Cracks in doors and bathroom tiles and rust in the bath tub. Won't return back before they did a complete makeover. Water in the shower is tricking down. Wood cabinets and bathroom door are peeled and broken Left the room at 10 AM, returned at 5 PM, the room wad still not cleaned. Had to talk to the front desk in order to get someone to clean the room. This is a nice and simple hotel, in a street that's not full of bars and noise, yet very close to all conveniences. The staff is very helpful, they let me cancel the booking one day early because of changed travel plans. Much appreciated! Remember you get what you pay for, but here it was not a busy hotel and I payed for 3 nights and stayed close to 2 weeks. Darling and her mate on the front desk always happy and smiling, the girls in the Salon give a strong massage and every time I went to use the pool I was the only one in it. 150 m from the beach so easy to get a baht bus to town or the markets. What can staff at reception do, when there is no staff or room service available after 8 O Clock. There is no coffee sachets, and thin polythene bed sheets, which no one uses ever , broken showers, no hot water, in nut shell we can say its fake three star hotel, where even staff is not available for room service. Also, dont forget to block your 1000 Baht for security for keys. Not worth for any kind of traveller, can see people fighting over there on petty issues. If its location you are looking for, you will not find better than this. Hotel rooms need total refurb. but you pay for what you get and at 500 baht per night its hard to beat Jomtien is perfect for family nice and quiet and beside the sea. swimming pool is there, but not ready for use. Sorry for inconvenience. We already solved the problem. The pool is available to use now. Very inexpensive and everything was OK for the price. Actually have a very nice pool area but location is not that nice. Safe, but just unappealing being down an alley with no view out of the windows at all. Very close to the beach though, just a few minutes walk, so really not that bad. Stayed 6 days, CC Machine broken when arrived and staff let us fix up next day with baht, room had only just been painted and had very strong paint smell staff offered to change room but no view, photos of bathrooms must have been when new as they are not like that now. The hotel is slightly overpriced, compared to hotels in other parts of Thailand. (900). Close to the sea, close to many bars, restaurants and food shops. Swimming pool is maintained too well, water hurts the eyes but it is very clean. Cleaning the rooms not very good. Like many hotels here it needs some refurbishment. I am in Thailand and want to eat Thai. However, no Thai breakfast available..
Would have been a beautiful hotel 20 years ago and now quite run down but if they fixed it up it would be more than 500b per night and I wouldn't afford it. Lovely marble bathroom but room needed aired but was clean. Fridge and could have a kettle if I asked. Swimming pool great and it seemed like you could swim all hours. Great position. Really friendly staff particularly the smiling girl at check in. Breakfast minimal though cheap. Good points! Great location, nice small outdoor swimming pool, nice room, great price. Good internet, nice staff Hotel needs remodel but cannot charge enough to fund the changes so just enjoy the place as is for good price! Wonderful location and people are quite nice. Hotel needs renovation but considering the location and great swimming pool, it is a great value. I stayed a week here to learn about the Jontiem area and could not have picked a better location. Happy customer . What a terrific value this hotel is, No not most updated but I dont care. Everthing works, everything is clean, Large room with large desk, and large comfortable chair. I love it. Internet works well. One night in high season, 2 rooms with two kids.Value for money absolutely ok, parking possibilities very bad, must park on sideline, if some place is free. Motorbikes occupy most of the sidelines.Reception friendly, easy going and helpful (Indian man). Pool absolutely ok, no luxury, but fine, also for kids.Must ask for towels. No restaurant/breakfast available at the time, but down the street is another Eurostar restaurant with breakfast buffet.Evening: Bar is open with pool table and some looooud ladies, but ok.Friendly girls anyway. Rooms are ok, shower fine, only one thing really scary: Elevator. Difficult to get it (buttons are loose...), inside sign says: Call this nr if emergency, bumpy ride. Has to be renewed! Overall Hotel is very easy, but value for money good!